Spreading the cost of enhancing your home gives you and your family peace of mind and allows you to design a fitted kitchen, bedroom, or home study that will benefit your family lifestyle and become an important investment in your property. We offer a brilliant choice of ways to finance your new fitted kitchen, bedroom or home study. With this offer, you have 12 months from the installation date to pay back the amount of credit with a £29 settlement fee. If your repayments go beyond 12 months, then you will begin making payment by direct debit over 120 months at a deferred interest rate of 19.9% APR. 9.9% APR over three, five or ten years: With this option, your first payment is taken by direct debit one month after the delivery of your new kitchen, bedroom or home study. Please note, repayments can be paid off earlier if you choose to make one final payment or extra payments before the repayment period is over. We require a 25% deposit to place the order. Interested? Get in touch to discuss all the options and see what’s best for you. Just imagine how a bespoke kitchen, bedroom or study could enhance your home. We’ve always got plenty of inspirational design and interior ideas for you. 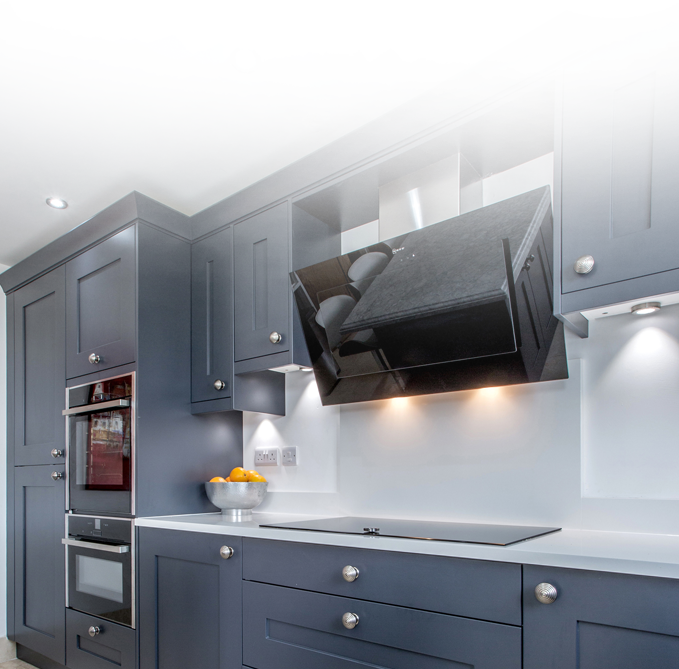 Take a look at our Fineline kitchens, bedrooms and home studies on our website and social media. Visit our showrooms in Oldham and Warrington to see furniture and settings at first-hand, and really get a feel of what’s possible. Our showroom teams and designers offer friendly, expert advice based on your home and lifestyle. Today, more and more people are investing in enhancing their homes, instead of moving to a new house, for both lifestyle and financial benefits. Beautiful, well-designed kitchens, bedrooms and studies not only make your home a delight – they add real financial value to your property. Home improvements really are a solid investment in your lifestyle, family and your longer-term wealth. Remember, Fineline Interiors has all the expertise and customer services you need under one roof. Our designers, surveyors, furniture makers, delivery teams and installers are here to help you. Now our financial offers are a fantastic addition to our brilliant range of furniture and interior design services. Get in touch for a chat. Visit any of our two north-west showrooms or contact us through our website or social media.